Is the purpose of photography to document, to record and preserve for posterity, or is it to create art? The answer, of course, is that photography is just a tool that creates an image, you can use that tool for anything you want. Photography has become vitally important for recording almost all aspects of 'life' whether that is our own lives, nature or events happening around us. Photographs provide an important record to look back on, both from a historical perspective, but also a personal one. A photograph can help preserve memories, of a time, a place, a person, even a mood. Looking at a photograph, though, can also inspire thoughts and/or feelings, they can make you think, they can create a mood. A photograph can thus serve to record and preserve memories, it can be a piece of art designed to inspire feeling and mood and, of course, it can be both. At the Harpur Studio, the majority of the photos we take are primarily to record and preserve memories, they are 'documentary' in nature, but of a subject matter that also tends to inspire feelings, being photos of family, friends, loved ones or pets. We do though also have some shoots where the primary purpose is to create some 'art' to display on a wall.. We can create beautiful portraits, through the use of lighting and styling, that are closer to 'art' than 'documentary' shots. Some people want a photo of themselves or their family as they are, to look back on in future times, some people would rather have a photo that shows themselves or family in a completely different light, something that doesn't simply record how they look at a particular point in time, but rather conveys or inspires a mood or feeling. You can be sure though, that whether simply recording a moment in time for preservation or creating something to inspire a mood or feeling, that we can provide you with beautiful photographs from your session. 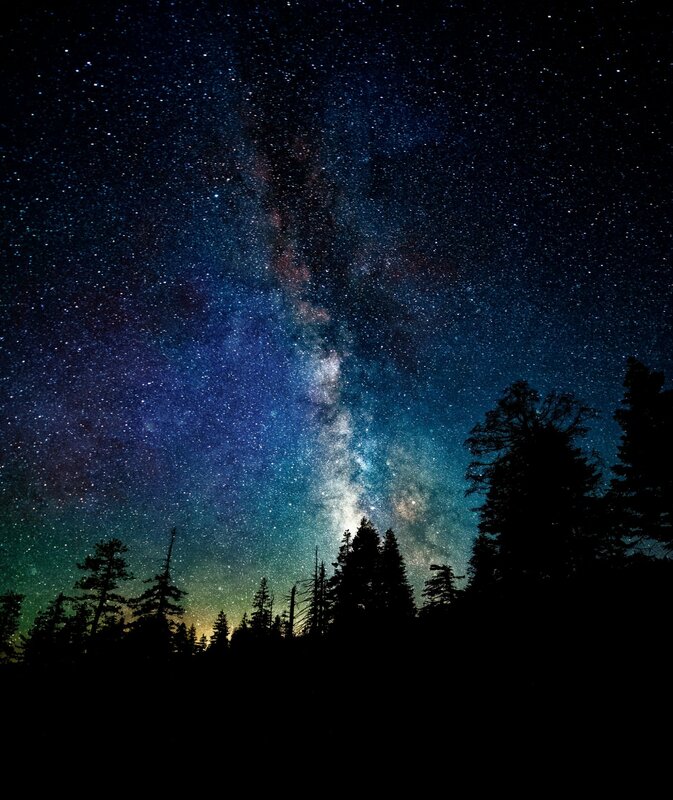 Oh, and the image of the trees and milky way at the top of this article, is it a photo showing some amazing place where the skies are amazingly clear, or is it a piece of art created in photoshop? In this case, it's an image created in photoshop. No doubt there are places like this but not anywhere near Bedford. This is what I wish my back garden was like, in that sense it's an image to inspire a feeling rather than recording a real place. Is it art though? - that depends entirely on your own personal viewpoint.